Note: The content of this post references an opinion and is for information purposes only. It is not intended to be investment advice. 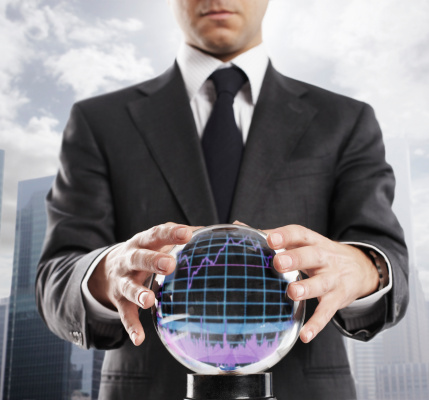 Seek a duly licensed professional for investment advice. With earnings season in full force, the Sentieo team has been making their predictions about the earnings announcements from major companies, using alternative data from Sentieo Mosaic. The team successfully predicted the Netflix and Snapchat beats, and in this report we will disclose our thoughts on TWTR, SKX, SODA, and GRUB. Why does this data predict earnings? In the charts below, we are presenting Quarterly YoY growth in Google Trends, Website Visits (Alexa Panel), and Twitter Mentions. In all cases, we have compared the data against quarterly revenue growth. Alternative datasets like these are offered in the Sentieo platform and can provide an edge in analyzing consumer-facing businesses, as they often have a high correlation with revenue growth and are available ahead of traditional financial metrics for the period. As consumer behavior shifts more and more towards digital, indicators like these have become more predictive of tech and consumer company results. Below each chart is a link to an interactive version of the graph. After years of struggles, Twitter finally seems to be taking the steps it needs to come into the modern era and properly engage and monetize its massively unique user base and content. By increasing character limits, improving navigation, driving more usage through better notifications and alerts, and by focusing more on video, Twitter is growing DAUs and revenues again. The stock has surged recently but there appears to be much more upside. 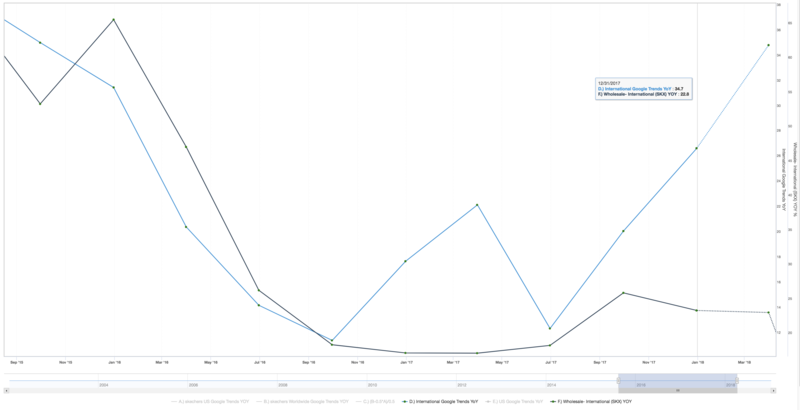 Website Visits to twitter.com (Total Visits = red line) have shown a strong relationship to TWTR’s revenue growth (black line) historically. The website visits data is pointing to a meaningful acceleration for FQ1 (12/31) while Street estimates are not. 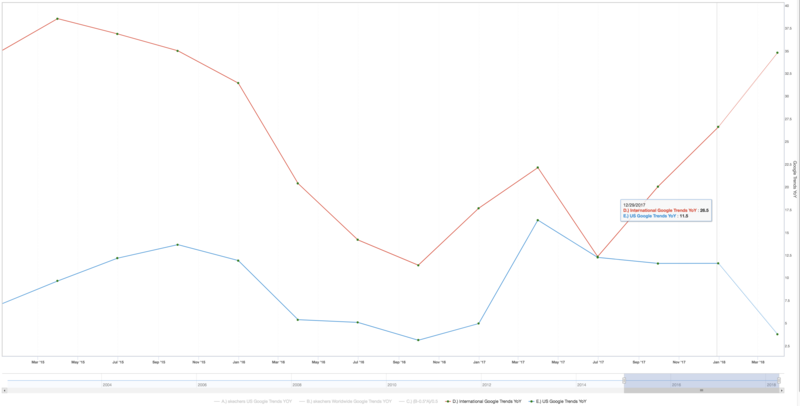 Google Trends searches for Skechers (green line) and Website Visits to skechers.com (red line) have accurately signaled major inflections in $SKX’s revenue growth (black line). The Google Trends data, which has the best correlation, is calling for a huge acceleration in FQ1 (12/31). However, the FQ2 (3/31) Google Trends data (based on 4 weeks of data) is signaling a very large deceleration. When you peel back the onion, you see that this is a tale of two geographies. The international business has driven all of the recent growth acceleration, while the U.S. seems to be off to a bad start in FQ2 (see below). While the U.S. side is off to a tough start to 2018, we think the biggest point of surprise on the print will be the massive reacceleration in international during FQ1, and the likely improved FQ2 guidance for international. Overall, we expect a beat on the upcoming earnings call as laid out in detail in our recent blog post. 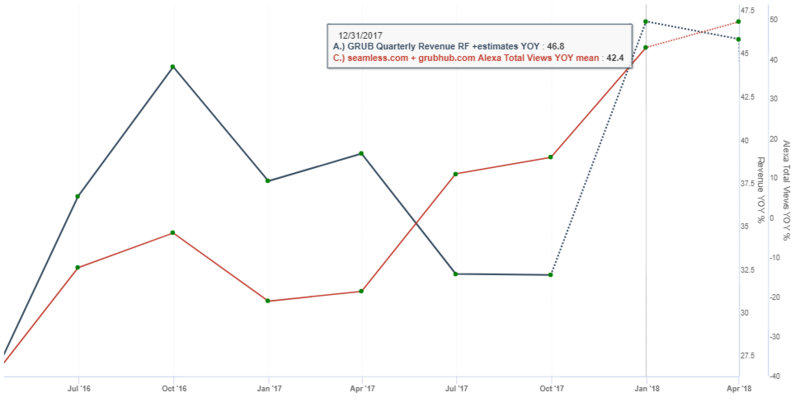 $GRUB’s YoY Website Visits (Alexa Panel- red line) have shown a strong relationship with revenue growth (black line). 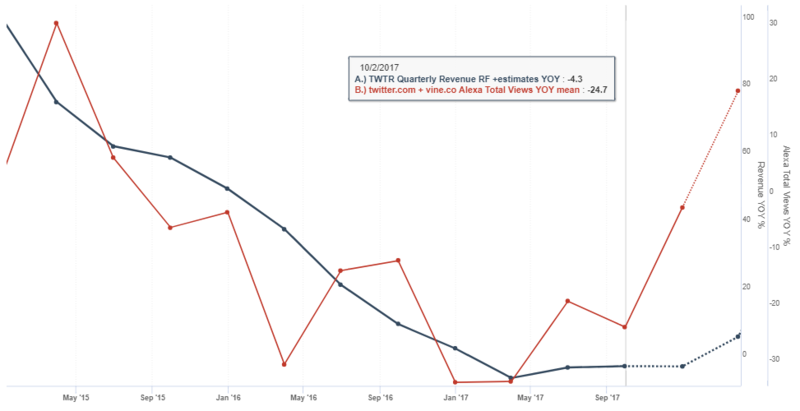 The website visits data has also moved in the same direction as revenue growth and agrees with consensus expectations for an acceleration for the 12/31 quarter. So far in the next quarter, the data is continuing to accelerate with consensus revenue estimates expecting a deceleration, signaling a potential change in guidance coming on the call. 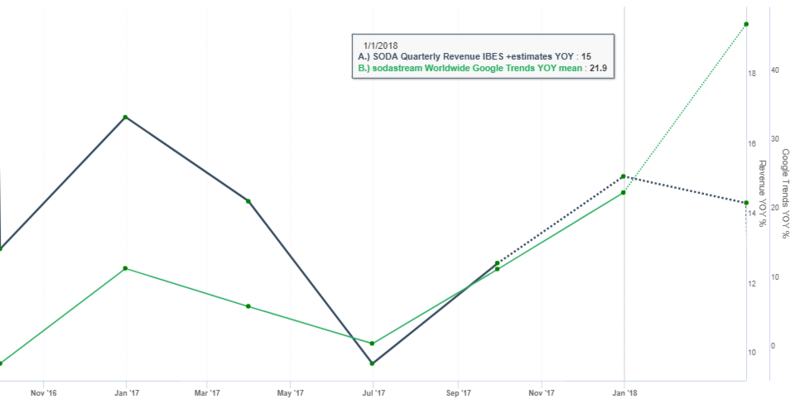 YoY Google Trends searches for Sodastream (green line) have moved in the same direction as revenue growth (black line) during each of the last 6 quarters. Google Trends and Consensus Revenue are in line for FQ1 (12/31) but are massively diverging for FQ2; this suggests a likely beat and raise for the quarter. Is Skechers (SKX) Management Guidance Too Conservative?